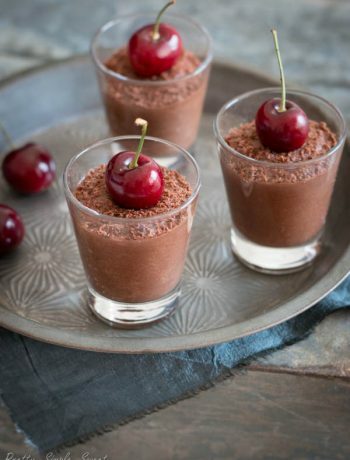 5 Minute Chocolate Mug Cake - Pretty. Simple. Sweet. 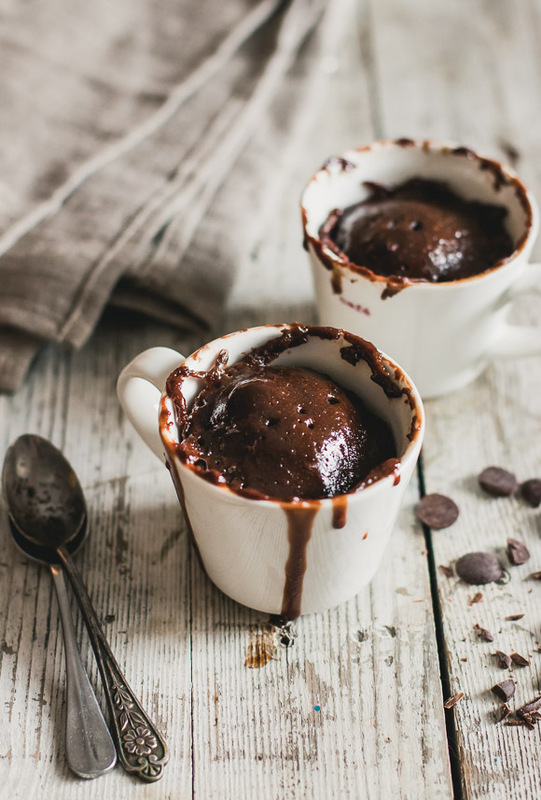 This fudgy and comforting individual mug cake will be ready in no time to satisfy your sweet tooth. My chocolate cravings are the strangest thing. They can occur at the completely unexpected moments – first thing in the morning, in the middle of the night, during business meetings, while doing yoga, or in the middle of an ugly cry. 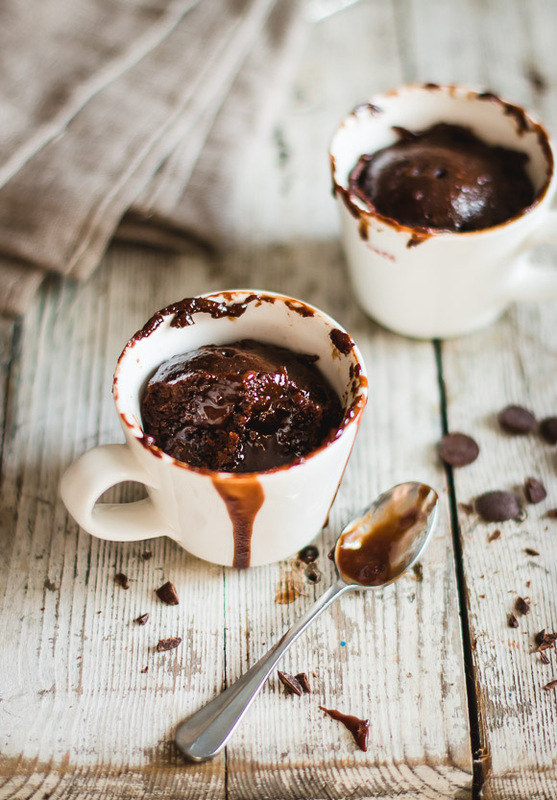 Luckily, though, it’s usually nothing that this quick chocolate mug cake can’t fix. This spongy cake has a perfect chocolate flavor, and its secret lies in slightly under-cooking it, which yields a lava cake with gooey molten spots all around. 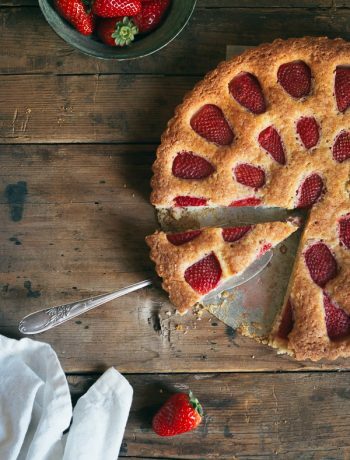 Not only is it delicious, but it’s incredibly quick and easy to make. It takes minimal preparation, and no oven preheating is needed; instead, it’s cooked in the microwave. Don’t stop reading just because I said microwave. I’ll be the first to agree that microwave cakes usually aren’t that tasty, so it was a challenge for me to come up with a recipe that actually works. 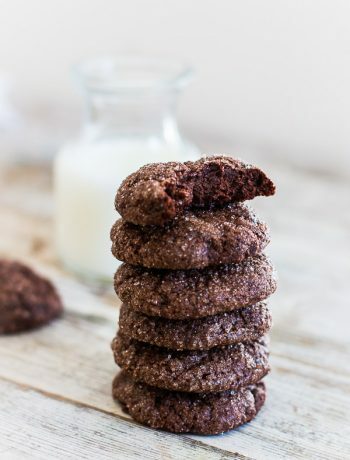 I use melted chocolate and butter which, in my opinion, yield better results than most other recipes that call for cocoa powder. What’s really gonna make or break this cake for you is the cooking duration and heat level. Microwave heat is strong and uneven, so it’s not always easy to know when the cake is done and not overbaked. If your microwave is one of those that gets really hot or uneven, start with microwaving the cake for less than the one minute suggested in the recipe. Place chocolate and butter in a small heatproof bowl, then set in the microwave and heat for 30 seconds. Take it out and stir, then continue to microwave in 20-second intervals, stirring between each interval until melted and smooth. Add sugar to the bowl and mix until combined. Add egg and whisk vigorously until completely smooth. Lastly, add flour and mix just until combined and lump-free, but don’t over mix. Scrape batter into your favorite mug (the mug should be bigger in capacity than the batter to avoid overflowing). Microwave for 1 minute at 700-750 W. If it’s undercooked, heat for a few seconds longer. I like it when it’s not fully cooked and there are still molten parts. Let stand for 2 minutes, then dig in. Thanks for this! I’ve been looking for a mug cake for ages but most I’ve seen don’t look as lovely as this one.